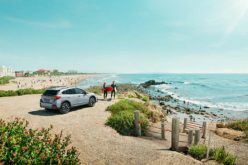 “You bought a hybrid – why?” While it seems like a question you might have asked your neighbour in the year 2000, it could be a conversation topic you’ll overhear on the trails by the end of the decade. 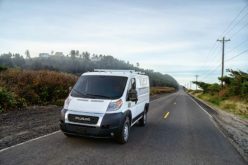 Since the introduction of mass-market hybrid-electric vehicles like the Toyota Prius over twenty years ago, automakers have been pressured into electrifying increasing numbers of vehicles due to government regulations, rising fuel costs, and consumer demands. 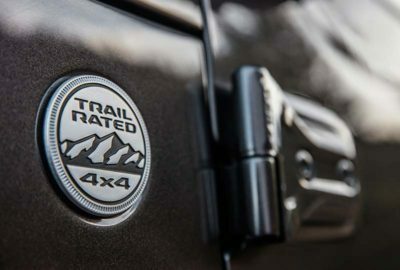 Although you can buy several all-wheel drive hybrids and EVs right now (think Toyota RAV4, Tesla Model X, and the new Mitsubishi Outlander), you won’t find a hybrid or EV system in any fully-fledged, transfer-case-equipped 4×4 vehicle on a dealer’s lot today. 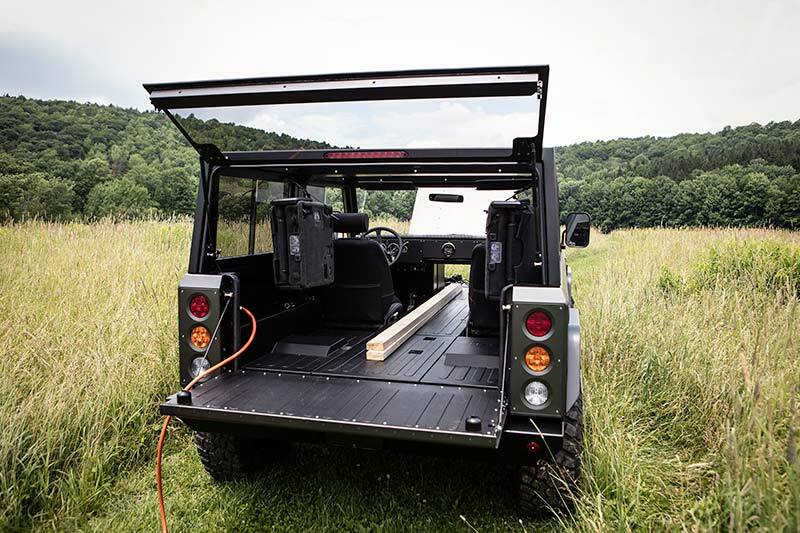 While it may seem ridiculous to most off-road enthusiasts, emerging electric technologies are set to change the off-road landscape. 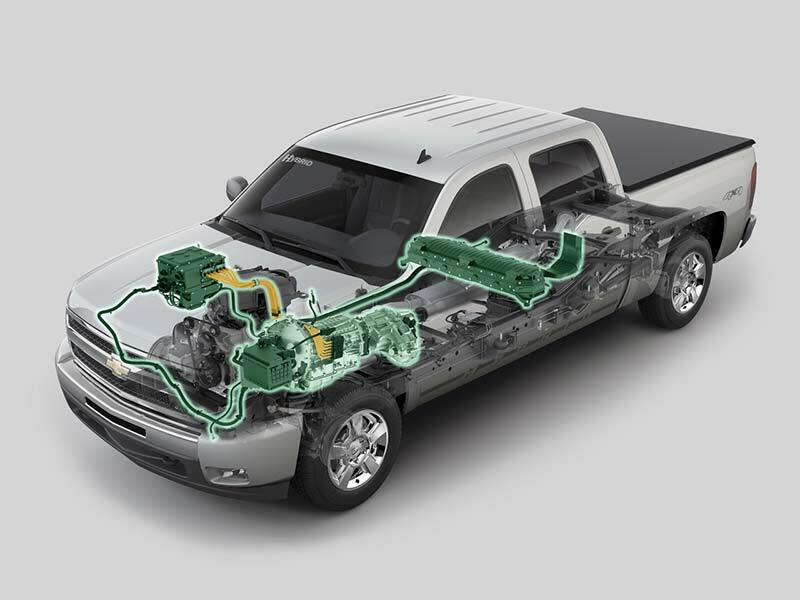 There are several advantages to a hybrid or full-EV drivetrain in an off-road vehicle. The primary argument is for torque – electric motors output their peak torque at one RPM, unlike gas or even diesel, which need several thousand RPM to generate their rated power. EV motors can be positioned at each wheel, and could negate the need for solid axles and even differentials entirely. 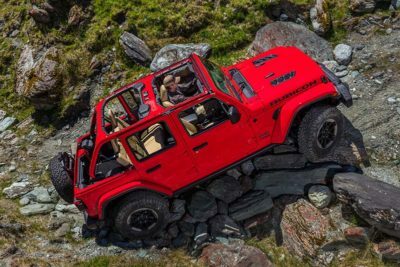 Imagine how capable a 4×4 could be if there were no need for drive shafts and lockers, and each wheel could power itself independently through an obstacle? Also imagine how relaxing an off-road trip would be if your vehicle didn’t make noise all the time. There’s nothing quite like the silence of stopping in the middle of nowhere and turning off your engine; with an EV or hybrid you might even be able to sneak up on some wildlife you wouldn’t normally see. 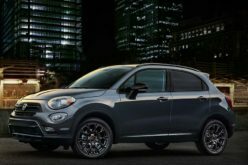 There could also be huge potential for the aftermarket to take advantage of an EV or plug-in hybrid battery pack. 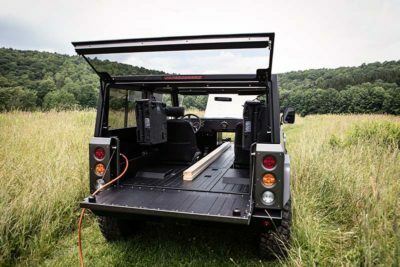 If FCA develops a means of accessing that power when the vehicle is off, you might be able to sustain all of your camping and overlanding goodies for days on end – it would be the ultimate dual-battery setup. 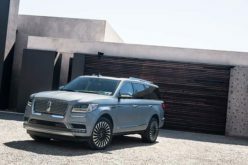 Of course, there are numerous well-known disadvantages for EVs and Hybrids (for now, at least.) While lithium batteries are getting about five percent more efficient every year, the cost is not declining as rapidly. 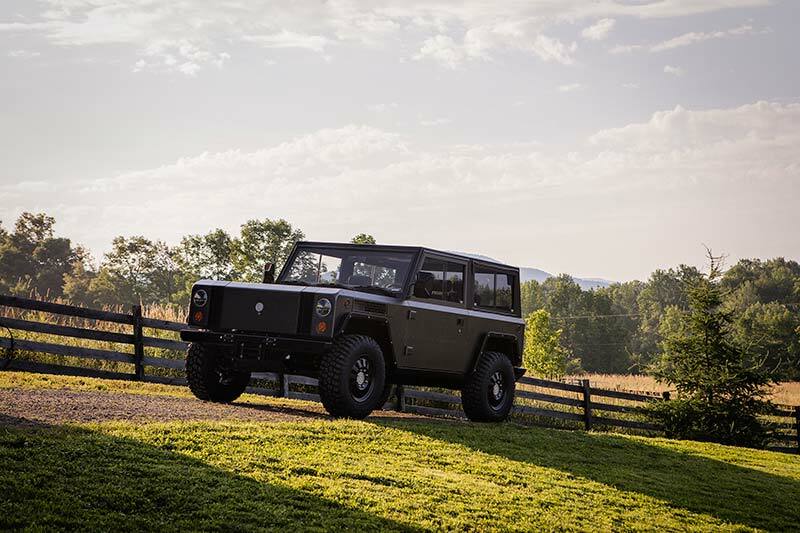 The engineering and development work also has a price tag attached to it, so you might expect to pay a premium of between $3,000 and $6,000 for a hybridized 4×4 over its fuel-burning counterpart. (In addition to the previously mentioned off-road advantages, any Jeep hybrid would probably be a plug-in with some kind of EV-only range, something that commuters might respond well to.) A fully electric vehicle would, however, command an even larger price – probably well over $65,000 – because it needs a big and costly battery pack in order to appeal to off-road drivers. Nobody wants to get stuck in the middle of nowhere, so that’s why campers carry spare fuel or fill up to the brim before heading off in to the wilderness. “Range anxiety” is a common phenomenon among potential EV buyers, and it would be even more widespread in the off-road community. 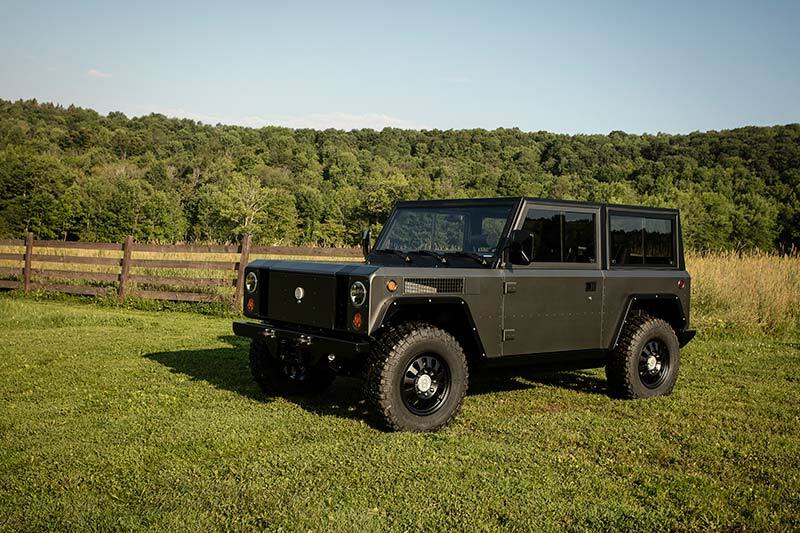 A fully electric Jeep will need to have a range that matched a gas powered one at the very least. 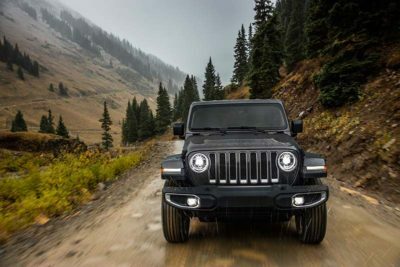 So how would a hybrid system in a 2020 Wrangler look? There’s a lot of speculation and not many facts. 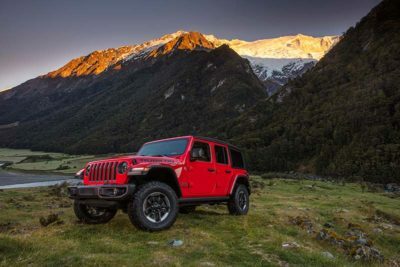 FCA hasn’t yet released any information, and many pundits – this one included – aren’t sure how they would be able to keep current and future Jeep owners happy. Using an integrated hybrid drive similar to Audi and Honda’s hybrid systems could be the solution. A large, flat, plate-like electric motor sits between the engine crank and the transmission, allowing power to be applied in tandem or separately from the gas power plant. An advantage to this is simplicity. 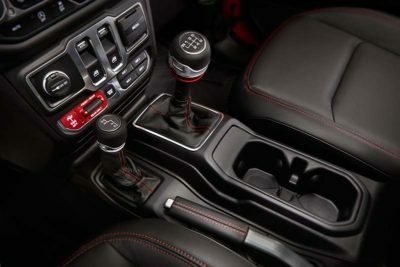 It could easily be integrated behind a four-cylinder without much more than software integration and a battery pack. Another advantage is that it would allow the JL to retain a traditional transmission and transfer case pairing – a key component of any true 4×4. 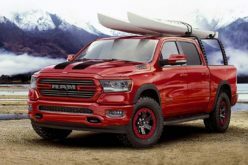 A second option for FCA could be the retention of the existing powertrain, but without a transfer case and with an electric motor integrated in to the front axle and driving those wheels when 4WD is engaged. 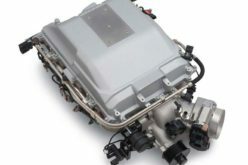 The weight saved from losing the transfer case and other components could be used for a battery pack, and the vehicle could even potentially be driven in a front-wheel-drive EV mode. Diesel Jeeps have also been on the radar lately. FCA has finally confirmed that the Wrangler will offer a diesel engine for this generation, most likely in the upcoming pickup truck version. 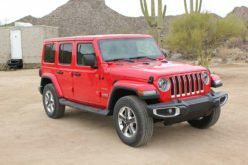 While it’s been the holy grail of Jeep options for decades now, we may actually be in a post-diesel world. 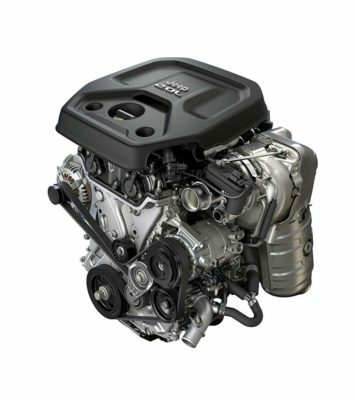 The once lauded torque and fuel efficiencies of diesel engines are becoming less relevant in the face of competing hybrid and EV setups. Combine that with the stigma of diesel power in the wake of Volkswagen’s EPA scandal, and you have a consumer base ready to convince themselves that the diesel premium is better spent on a hybrid. If governments have their way, Europe could see a massive reduction in fossil fuel vehicle sales in the next few years. 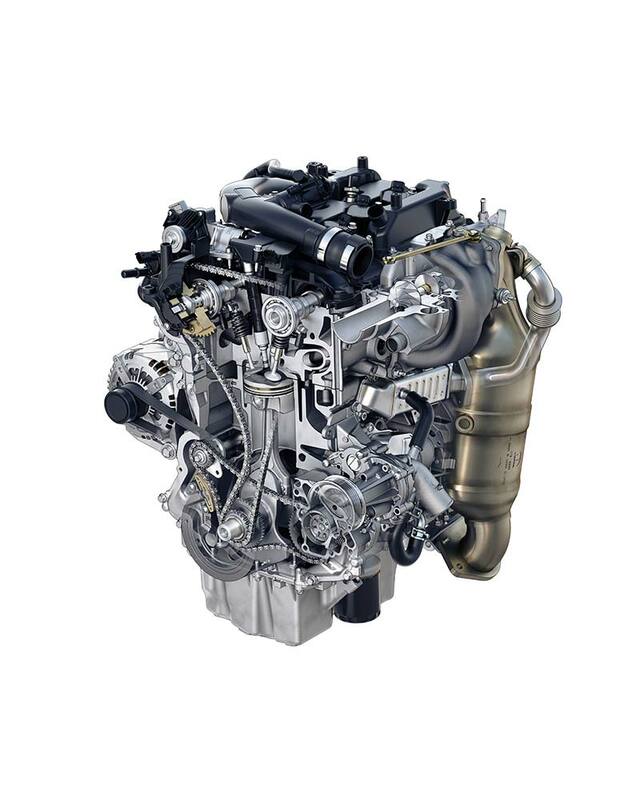 The march of technology is knocking at the combustion engine’s door – and could easily march across the pond to North America too. As we know with almost every other facet of our electronic lives, things change very fast. 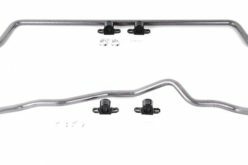 Historically, cars have been among the slowest technologies to change given their cost and longevity compared to other purchases, and this belief could be turned upside down as a result of fast changes in powertrain technology. 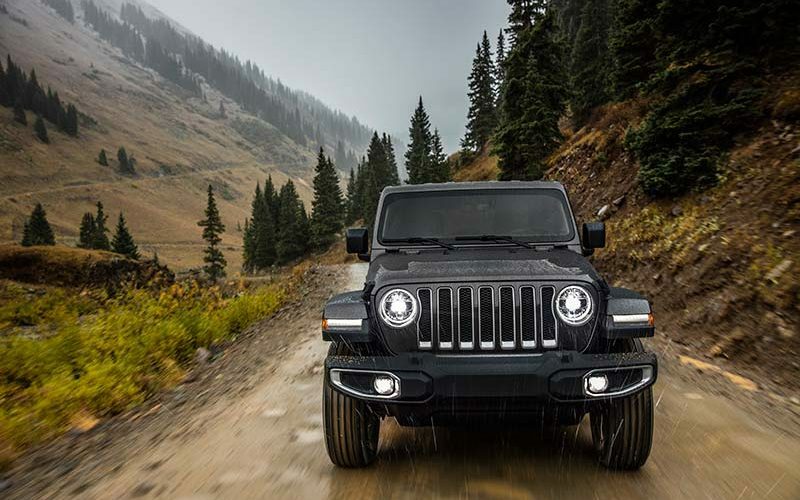 No matter what arrives over the next ten years, 2028 could be an interesting year for Jeep. If a fully-EV Wrangler is not produced before then, it will almost certainly hit the market in the next iteration. 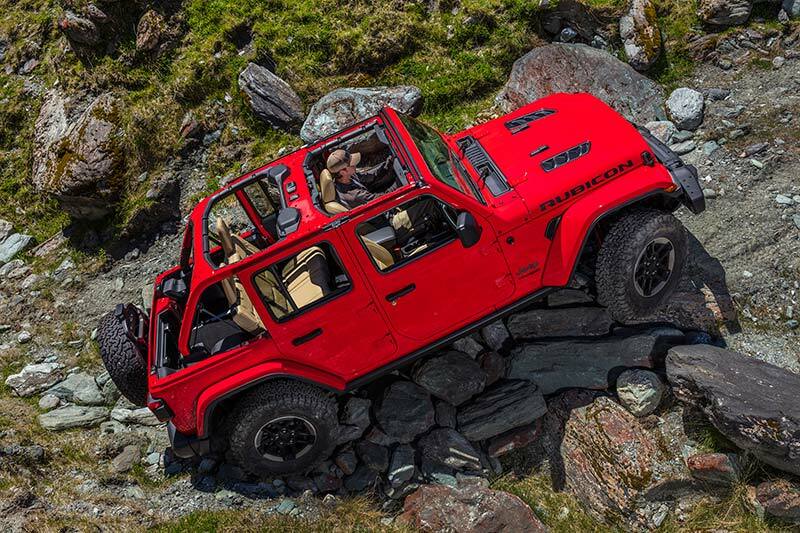 We may be looking at the last generation of gas-burning Jeeps. Depending on who you ask, that might be something to sob about – or it could be looked upon as a new era of North American innovation. 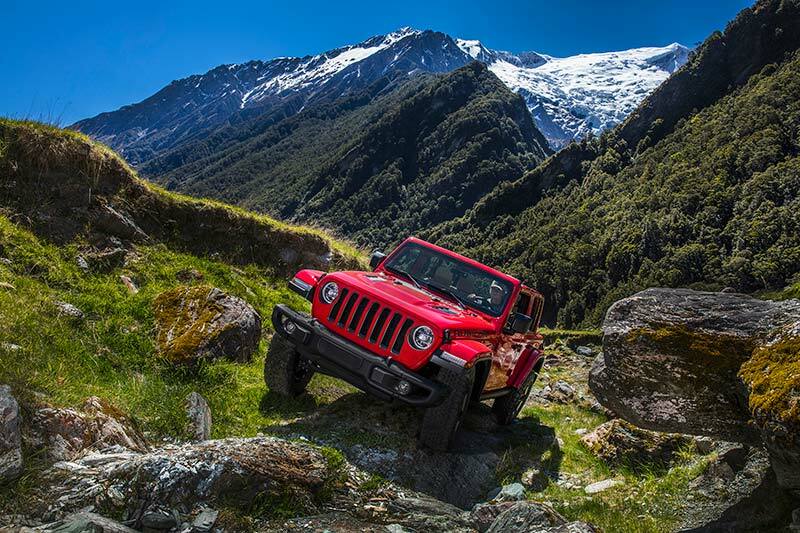 After all, the Jeep is built on the concept of a smaller, easier-to-use, more mobile and more efficient vehicle. Electrifying that vehicle might just be the next logical step.